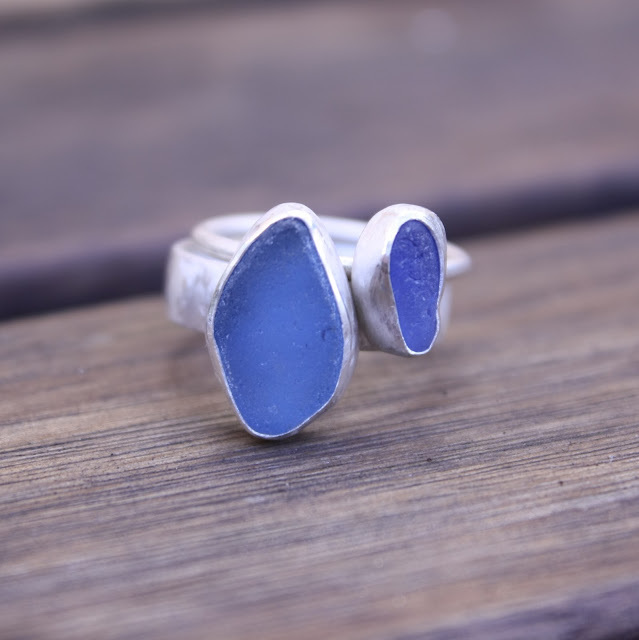 Two ready-to-polish blue sea glass and recycled sterling silver rings. I love them stacked together like this and have been sorting through glass to make more in greens and aquas. Yum. Lovely!! Really liking stacking rings at the moment!